43. My Out of Africa Family To Compliment My African Drums Blogs. Great Grandfather Antonie Manuel Lorenzo. Born: Lisbon Portugal. Great Grandmother Catherine Epolde. Born: Naples Italy. Grandfather William John Edward Lorenzo. Born: Cape Town South Africa. Grandmother Dolphina Francina Wilhelmina Newman. Born: Kovna Russia. My Father Harold George Lorenzo. Born: Cape Town South Africa. Uncle Anthony Manuel Lorenzo. Born: Cape Town South Africa. Uncle Franck Lorenzo. Born: Cape Town South Africa. Aunt Doreen Lorenzo. Born: Cape Town South Africa. Aunt Maud Lorenzo. Born: Cape Town South Africa. Aunt Olga Lorenzo. Born: Cape Town South Africa. Me Harold George William Lorenzo. Born: Cape Town South Africa. Great Grandmother Elizabeth Carolus. Born: Pretoria South Africa. Great Grandfather Benjamin Bradley Dodgen. Born: Kimberley South Africa. 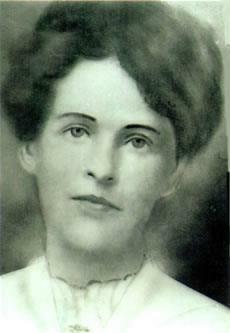 Grandmother Maria Annie Margaret Dodgen. Born: Kimberley South Africa. 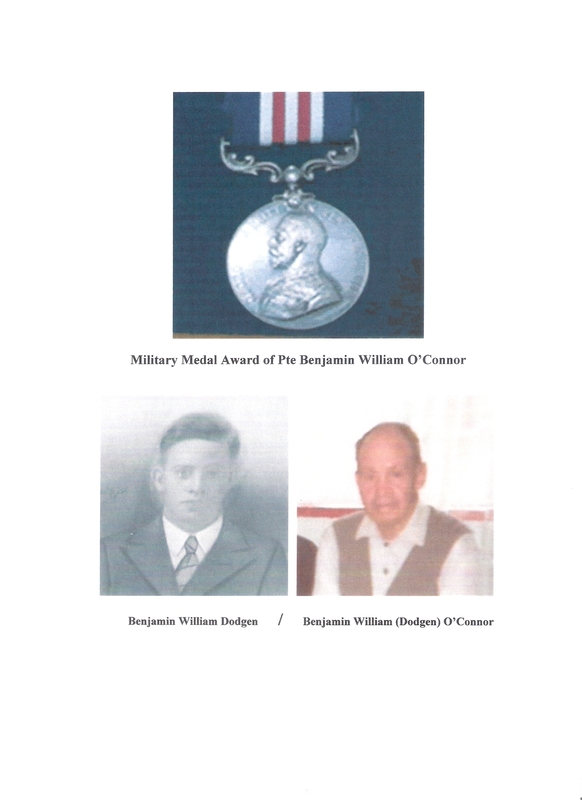 Grandfather Benjamin William James Dodgen (left). Born: Kimberley South Africa. Great Grandfather William Bradley Dodgen. Born: Kimberley South Africa. Great Grandmother Annie Dodgen. Born: Kimberley South Africa. My Mother Elizabeth Maria Dodgen. Born: Kimberley South Africa. Uncle William Dodgen. Born: Kimberley South Africa. Uncle Benjamin Dodgen. Born: Kimberley South Africa. 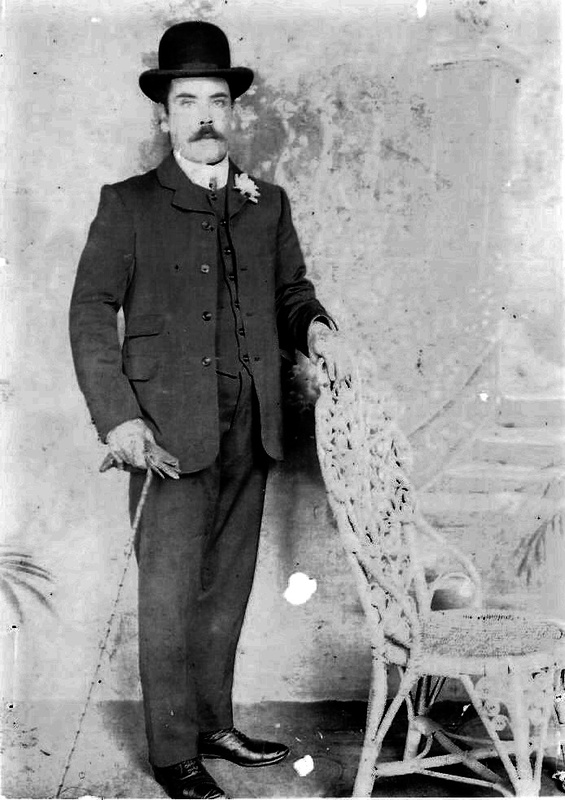 Grandfather George Llewellyn O’Connor, Born: Cape Town South Africa. 2nd husband of Grandmother Maria Annie Margaret Dodgen. Aunt Phoebe O’Connor. Born: Cape Town South Africa. 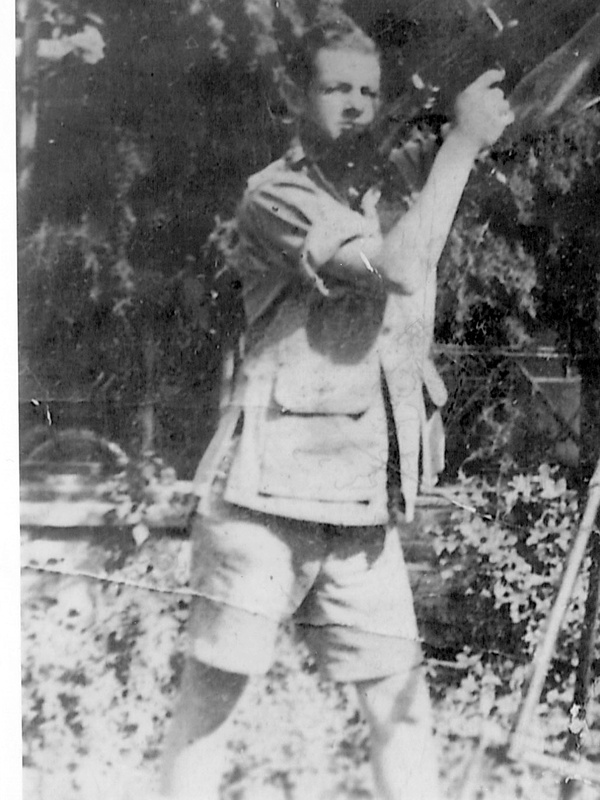 Uncle Robert Odendaal. Born: Cape Town South Africa. 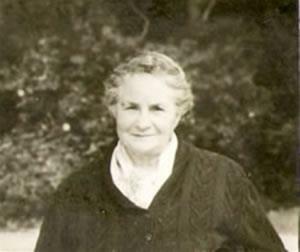 Aunt Grace O’Connor. Born: Cape Town South Africa. Uncle John Rhode. Born: Cape Town South Africa. Aunt Violet O’Connor. Born: Cape Town South Africa. Uncle William Engel, Born Durban South Africa. Uncle George Llewellyn O’Connor, Born: Cape Town South Africa. Aunt Iris Doreen February. Born; Cape Town South Africa. Thank you for your post. There’s so little on the Lorenzo line and it’s so fun to see our old family pics. Denise, good to know that there is family out there interested in their ancestry. I hope what was sent you will suffice…for now. Keep in touch cousin. Oh, I didn’t get anything yet. Did you send it to my email? Denise, after scrolling around on Facebook it seems that Mark and Mel Mongie are relatives of yours. But that being for the by-and-by, I’d like rather to know if your Mongie Family stems from Stella Maud Lorenzo and Francis Louis Mongie. If so, I can send you the Lorenzo Family Tree, which I thought I had, and maybe you can send me a continuation of the Mongies from as of those two who are my great uncle and aunt. Thanks for letting me know of my fav Aunt Mabel’s passing. We had kept in touch by phone and correspondence over the years, and because of that I got to know about her children. So which one are you from either William, Bradley, Colin and Desmond. I don’t thinh you can be of Patrick because he died young and I know of his death. I’ve the Dodgen family on my Family Tree, which consists of up to great great grandparents and their descendent families. I don’t though have the rest of my Aunt Mabel and Uncle William childrens offspring, which includes also Sandra, Leticia, Pamela and Diana. So maybe with your collaboration we can make it happen. What I intend doing in the meantime is to add you to my The Lorenzo Families Archive, which has most of my immediate, relatives and ancestors families with photos and personal data, which is my own type of family tree. Until then cheers and happy cooking. Melanie, here’s the thing I’ve found since your inquiry. I’ve always wondered about my great grandfather’s name of Antonie, which is on his death certificate that I have, and not Antonio, which is the male version of the female name Antonie, but in those days names and surnames always seemed to get spelt wrong. Families also had a trend of naming their offspring with past relatives names like Antonio in the Lorenzo families that become Anthony, which I have quite a few, and there is also an Edward Lorenzo that is my grandfather, and an Ida in my aunt Olga Lorenzo’s name. I have on my tree an Edward Anthony Lorenzo, brothers Oscar, David(my grandfather) and sisters Geraldine, Margaret and Vera. Edward had 3 children, Edward, Ida and Anthony all in SA not sure if these are connections, do these sound familiar ?. Of course Anthony could be Antonio. My dad said he had an Aunt Geraldine who lived in Melbourne. My dad, his brother Antonio and sister Ida all passed away unfortunately. I may have met you grandfather David many years ago when I was working at Somerset hospital, I think the year was 1990. He told me he was my fathers uncle. Uncle Tony visited Aunt Geraldine in 2001 I think and he collected information and pics. im trying to get it from SA. uncle Tony’s wife and children still live in Crawford Athlone. im sure we are related and I am really happy to be able to connect to any Lorenzo. Let me know if you have any more information. Hi Melanie, this is how Mario and you are related. Revised: Grandfather: Edward Anthony Lorenzo. DOB: 18 8 1908.Cape Town, Claremont, St Saviour & Freda Who? 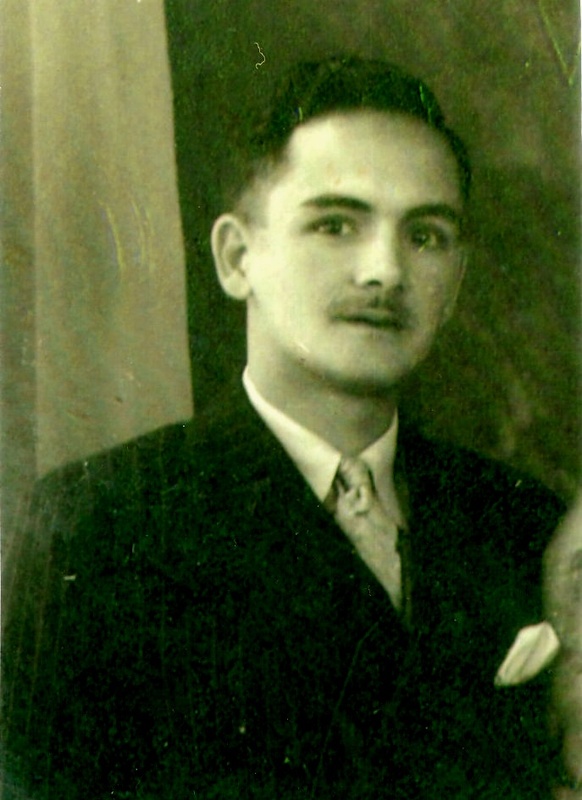 Mario Erispe Grandfather: David Samuel Lorenzo. DOB: 20 4 1919. Cape Town, Claremont, St Saviour. Edward Emmanual Lorenzo. DOB: 12 11 1938. Cape Town. Edward Emmanual Lorenzo. & Joyce Elizabeth Minaar. Thomas Louis Lorenzo & Ida Mary (Samuel) Lorenzo. Edward Anthony Lorenzo. Cape Town, Claremont, St Saviour. DOB: 18 8 1908. Margaret Catherine Lorenzo. Cape Town, Claremont, St Saviour. DOB: 20 3 1910. Arthur James Lorenzo. Cape Town, Soutrivier, St Luke. DOB; 18 1 1914. Oscar Louis Lorenzo. Cape Town, Claremont, St Saviour. DOB: 2 6 1915. Vera Mildred Lorenzo. Cape Town, Claremont, St Saviour. 19 7 1917. David Samuel Lorenzo. Cape Town, Claremont, St Saviour. DOB: 20 4 1919. David Samuel Lorenzo. & Emily Pienaar, DOB: 1886. Eastern Cape. Marina Lorenzo & What Erispe? I had a couple of questions again. I see a few records for an Anthony Lorenzo and his wife Catharina Leipoldt Lorenzo. Do you know who they are? They had a daughter Dorothy Adelaide Lorenzo Kruger Buitendag. I thought maybe Leipoldt was a different spelling for Epolde but Epolde is from Italy and Leipoldt’s were early German missionaries. Do you know who they are? I also found another possible child for William Lorenzo named, Alfred, who died at 3 months on 1 March 1905. I found an Anthony Frederick Lorenzo as well with a baby death certificate (Sophia Lorenzo d. 6 Dec. 1903). Both father’s of these bables lived in the same home in Maitland. Melanie, we have an Edward Lorenzo in our family too, Stella’s brother, but we thought he maybe never married. It sounds like a few Lorenzo family’s immigrated to Aussie-land! Denise, you answered your question of where I am by saying that a few Lorenzo families immigrated to Aussie-land…that’s me, and we have been here since 1972, and yes you can use the Lorenzo pics. Your questions made me scramble through my Lorenzo files to check out where that lot fitted in because a few names rang a bell. I’ve decided to send you marriage and death certificates of a few of the ancient Lorenzo families that I have and a few pics of them too. Denise, I’ve sent you an email with relevant family info that I hope you have received. 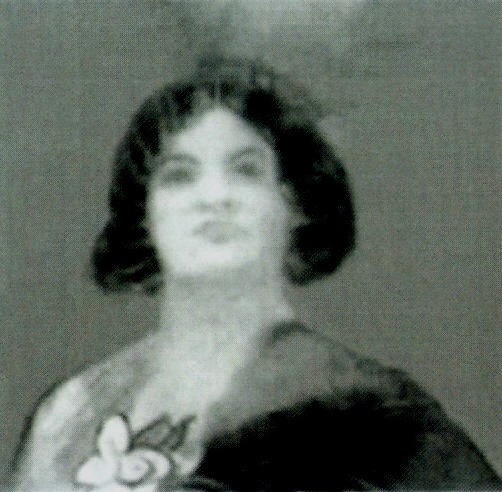 That Catharina Leipoldt Lorenzo intrigued me so, that I did more research to try and solve it. Guess what? It seems she is our same Catherine Epolde Lorenzo. This is the way it seems to go for her name change to a German type one..
Dorothy Adelaide Lorenzo Kruger Buitendag, John & Catherine Lorenzo’s daughter, first married Frederik Johannes Nicholaas Hendrie Kruger, who was a Boer and had a farm in Bloemfontuin. He died and then because they had no children to maybe help her run the farm, she then married Nicolaas Johannes Buitendag. Then she died on 26 4 1952, still childless, and it seems that he when doing her Death Certificate must have thought that her mother’s name must have been Catharina Leipoldt. The Leipoldts then were well know in South Africa as a distinguished Boer family, and that would have been that. What do you think? These Lorenzo’s get weirder and weirder but it’s fun picking up bits and pieces to solve their riddles. 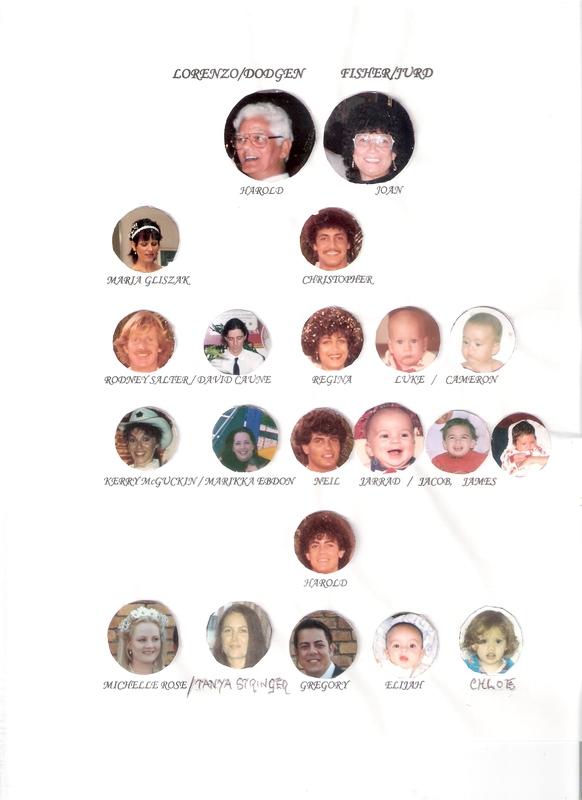 Denise could you fill in the gaps for me please so that I can complete my Lorenzo Family Tree. Would really like to know your full maiden name, all of your children’s full names and birth dates and place of birth, if possible, thank you. Stella Maud Lorenzo & Francis Louis Mongie. DOB: 1 19 1901. Cape Town. DRC Church. Keith Mongie & Meriel Mongie. Children: Stephen Mongie. DOB: 5 12 1967. Stephen Keith Mongie & Denise Mongie. DOB: 26 2 1969. Children: Hannah Mongie. Stephan Mongie. Zach Mongie. Rosie Mongie. 5. 6. Hi Harold, my name is Mario Erispe and I am researching my family tree and came across your very interesting blog. Using limited info I have have traced it back to Antonio Lorenzo. My grandfather on my maternal side was David Samuel Lorenzo (I think was your cousin) son of Thomas Louis and Ida Mary Lorenzo nee Samuels. Any info you have to confirm would be great. You got me scrambling for my Lorenzo Family Tree to see if I could figure out where your information fitted in. I also checked out the Latter Day Saints site that showed up Thomas Louis Lorenzo’s parents as Anthony (Antonio) Lorenzo and Catherine Lorenzo, which was my great grandparents names and to much of an coincidence. 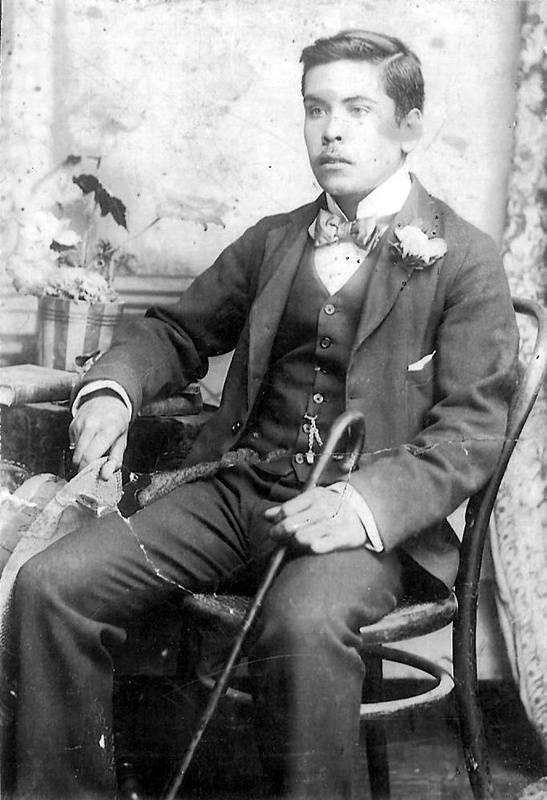 I don’t know from which country Thomas and Ida Lorenzo hailed from, but my great Grandfather Antonio when leaving Lisbon had a stay in Southampton before coming to South Africa. That’s why I have had no information about your great grandparents to date. Can you also let me know how you came about your families information. By your info supplied it could be that we are related if my research has gone in the right direction. I managed to get most of the info from Ancestry and Latter day saints and some form my uncle and Aunt still living in Cape Town. My Aunt Thelma seems to remember that my grandfather had a cousin called Harold and a daughter named Mary from Athlone. I know from speaking to my uncle and Aunt that Thomas Louis and Ida Mary were their grandparents. I believe Thomas was born in Barkly West South Africa, as an adult lived in Claremont and Ida was from St Helena Island albeit I cannot seem to trace any info on her yet other what is on Latter day saints – Baptism docs on the children. Ida also remarried after Thomas’s death to a William or Bill Allen or Allan. Antonio and Catherina (subject to spelling variant these seem to change as you know) were Thomas’s parents. I was born in Heathfield Cape Town where I lived with my Mum and Dad with my grandparents at ‘Nova Mundo’ Roscommon Road and was there till 10 years old (1969) then emigrated to England with my mum and sister Janine. Most of my close relatives on the Lorenzo side remain in South Africa albeit now depleted. I think one great Aunt Geraldine moved to Australia and my mums Cousin Lorito who was a twin to Moltino now deceased. According to all the Lorenzo Family info gathered by both of us…yes we are related. Thomas it seems through unknown circumstances has been a missing link to me, but now I can see that he was another son of Antonio and Catherina, and I also now remember vaguely the Wynberg Lorenzo’s because my brother and I use to party there. Your Aunt Thelma is also spot on because the Lorenzo’s of Athlone is of my family. I went into Family Search for Historical Search just to verify what we’ve got, and there it was all laid out.from Antonio & Catherina to some of their children such as John, Alice and Alfred is also new to me and so has Thomas been. Will now have to do more research of the Lorenzo’s and will have to redo the Lorenzo Family Tree to suite. Thanks for your last reply. Its good to find more relatives and connections, I will update my tree now to reflect. Do you use ancestry for your tree info or LDS ? I will start updating LDS with info also as I currently use ancestry where all my info is stored. I am trying to find a way of merging both without too much data input. My aunty is hopefully sending me a photo of Thomas and Ida which I will share, unfortunately info and photos on my side are scarce. As with the initial posts from Denise may I also ask permission to use the photos on your blog.? Denise, It seems as if the Lorenzo family is expanding through this site. You will see on here a Mario Erispe who has brought to my attention about quite a few Lorenzo’s that so it seems have slipped through the cracks. I also thought I’d try something different on Family Search by just entering last name Lorenzo and birth place South Africa. I was bombarded by some that I knew of but also others that both Mario and you asked about. Take a look see if you haven’t already, and please let me know what you now think. Good to see other Lorenzo connections. Harold’s blog has certainly made an impact. Strange thing is when I first starting looking at the family tree and giving time to it, I did see your info on both Ancestry and LDS and did wonder, then I saw the blog and thought this has legs and sent a comment to Harold and made the connection. It’s certainly joining the dots and I wish I started it far earlier when there were relatives still around to ask. It seems like you are in the hunt again for your Lorenzo family connection. I have had quite a few inquires on this site about the Lorenzo family line from a Denise Mongie and Mario Erispe, which you can check out on this site here, and it’s becoming very interesting because the names you mentioned keeps on cropping up. Hang back a bit because I’m compiling all the info of these new Lorenzo’s I’ve found, which I’m sending also to Denise. The info you sent me of Thomas and family I will be merging into the Lorenzo Family Tree and so also Denise Lorenzo family info. Yes you may use those photos and I’ll be sending you also the ones that Denise sent me of our Lorenzo ancestors. I am very interested in any more info about the Lorenzo family, as said by you and Mario, the Lorenzo name is decreasing and we know so little. My father was Edward Emmanual Lorenzo born 12/11/38 died in 28/2/2001. His brother Antonio Lorenzo and sister Ida all passed on as well. My dad lived in Wynberg growing up from the little of history I remember. His dad was Antonio and was married to Freda. My dad told us his dad when he was very young almost a baby I think. He also told us he had an Aunt Geraldine in Melbourne. My uncle Tony visited her about 14 years ago and he also got some more family information and photos I have her address in Melbourne she lives/lived not sure in Elsternnwick Melbourne. When my dad was sick in 2000 and in hospital at Groote Schuur he had 2 cousins visit him, I think it was David and one of the twins Rito or Tino. I am a registered nurse and met Emily Lorenzo who was also a nurse many years ago. She lived in Heathfield. Her dad was a cousin to my dad and I think he visited my dad when he was in hospital in 2000. My dad married Joyce Elizabeth Minaar in 1961. They have 5 chidren, 4 daughters and one son who is also named Antonio Tino Lorenzo. I am trying to get some of the pics and info my uncle put together and will let you know as soon as I get it. Uncle tony married jean and lived in Crawford Athlone and still lives there today. In my work as a nurse I also once met a David Lorenzo at Somerset Hospital and he told me he was my dad’s uncle. I really think its great being able to piece together some of the Lorenzo ancestry puzzle. Some of us live close to each other but would not even know we family! Keep me posted and I am following this blog. Great aunt Geraldine is also deceased, however, I believe her daughter Betty(Felicity) still lives in Australia and so does he daughter Sharon. One thing – I have your grandfather listed as Edward Antonio Lorenzo born 1908. I will be talking to my uncle shortly and will let him know of your contact, he still keeps in touch with your uncle Tony. I am from Cape Town originally and I think I know/knew Rito Lorenzo. He is married to Shirley and they have a daughter Carmelita. They were close friends of my parents Norman and Blanche Mitchell originally from Mowbray, then Lansdowne, then District 6 then finally Grassy Park. We visted them in Melbourne when they first arrived 1989 I think. but have lost touch with them. If you have a contact for them I would appreciate it. 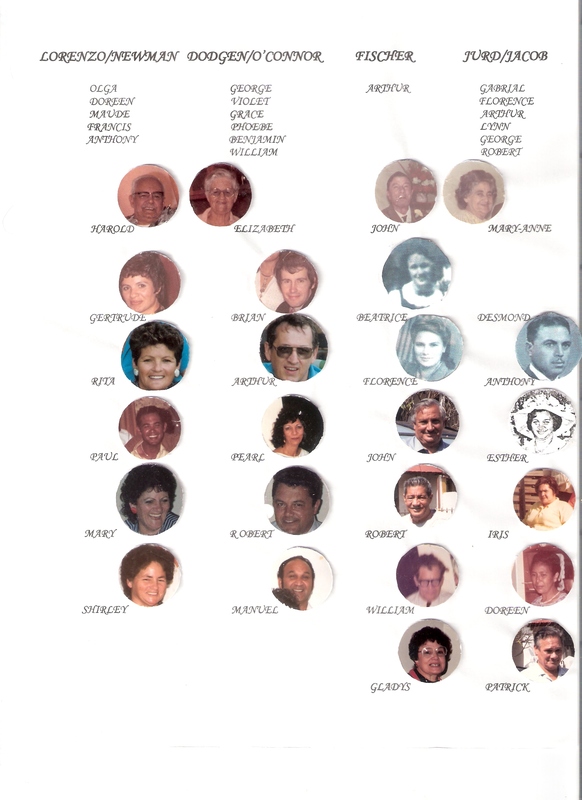 Melanie, Mario & Denise, I’ve compiled this so as to assist in how we are related, and to help in looking for and adding more Family information. I think what is required is to ask from older relatives about what is missing in each families information. As can be seen there are gaps about some of the ancestors names and surnames that is what is required to establish family links. And also all children’s names so as to complete the Family Tree. Please let me know of any mistakes that should be rectified. Antonio Emanuel Lorenzo. DOB: 1862. Place: Lisbon/Portugal. Catherine Epolde. DOB: 1862. Place: Naples/Italy. John Francis Lorenzo. DOB: 5 7 1876. Kimberley, Griqualand West, S. A. Baptism: St Cyprian. William John Edward Lorenzo. DOB: 5 1 1879. Kimberley, Griqualand West, St Cyprian. Antony Jacobus Lorenzo. DOB: 5 7 1881. Kimberley, Griqualand West. St Cyprian. Thomas Louis Lorenzo. DOB: 16 10 1883. Kimberley, Barkly West. St Mary. Charles Joseph Lorenzo. DOB: 6 3 1886. . Kimberley, Barkly West, St Mary. Dorothy Adelaide Lorenzo. DOB: 30 3 1899. Cape Town, St John. Alfred James Lorenzo. Infant death. John Francis Lorenzo. Annie Josephine Talmarkes. 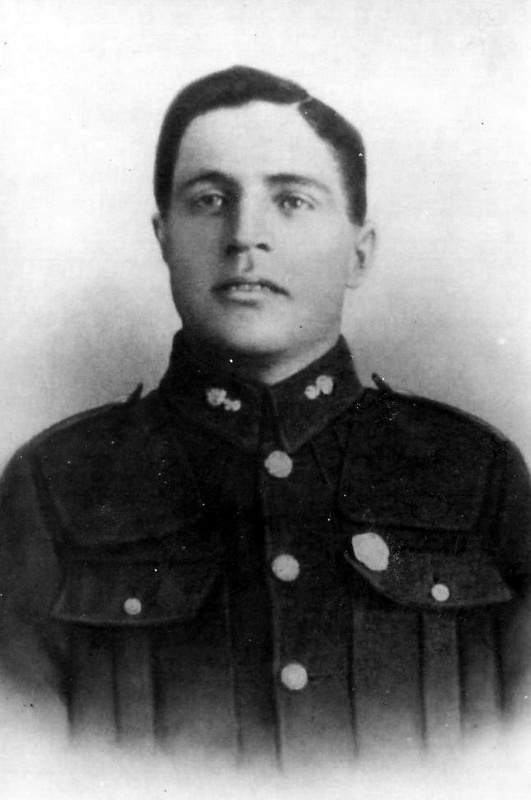 Victor William Stanley Lorenzo. DOB: 20 7 1901. Cape Town, Newlands, St Andrew. Edward Charles Lorenzo. DOB: 20 11 1902. Cape Town, Woodstock, St Mary. Stella Maud Lorenzo. DOB: 23 4 1908. Cape Town, Soutrivier, St Luke. Francis Louis Mongie. DOB: 1 19 1901. Cape Town. Dutch Reformed Church. Stella Maud Lorenzo. Keith Mongie & Meriel . William John Edward Lorenzo. Dolphina Francina Wilhelmina Newman. Anthony Manuel Lorenzo. DOB: 23 3 1907. Cape Town, Woodstock, St Mary. Maud Dolphina Lorenzo. DOB: 23 4 1908. Cape Town, Woodstock, St Mary. Mana Gwendeline Lorenzo. DOB: 7 11 1909. Cape Town, Woodstock, St Mary. Harold George Lorenzo. DOB: 14 9 1911. Cape Town, Woodstock, St Mary. Francis Henry Lorenzo. DOB: 23 3 12. Cape Town, Woodstock, St Mary. Olga Maria Lorenzo. DOB: 26 3 1913.Cape Town, Woodstock, St Mary. Doreen Wilhelmina Lorenzo. DOB: 10 10 1017.Cape Town, Woodstock, St Mary. Adelaide Angelina Lorenzo. Infant death. 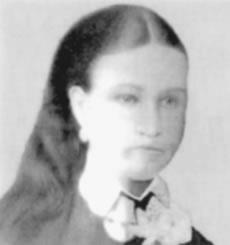 Elizabeth Marie Dodgen. DOB: 20 11 1911. Kimberley, Griqualand West. St Cyprian. Harold George William Lorenzo. DOB: 5 1 1933. Cape Town, Athlone, St Mary of the Angels. Monica Shirley Lorenzo. DOB: 21 7 1935. Cape Town, Athlone, St Mary of the Angels. Mary Margaret Lorenzo. DOB: 19 9 1937. Cape Town, Athlone, St Mary of the Angels. Paul James Lorenzo. DOB: 1 9 1941. Cape Town, Athlone, St Mary of the Angels. Rita Regina Lorenzo. DOB: 3 6 1945. Cape Town, Athlone, St Mary of the Angels. Gertrude Agnes Lorenzo. DOB: 16 11 1946. Cape Town, Athlone, St Mary of the Angels. Antony Jacobus Lorenzo & Elizabeth Lorenzo. Kennett Claude Lorenzo. DOB: 21 4 1909. Cape Town, Claremont, St Saviour. 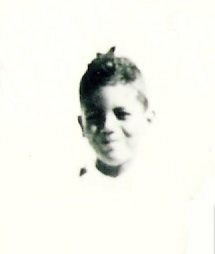 Gordon Sylvester Lorenzo. DOB: 28 3 1911.Cape Town, Claremont, St Saviour. Walter Edmund Lorenzo. DOB: 25 5 1913.Cape Town, Claremont, St Saviour. Douglas Verdun Lorenzo. DOB: 16 4 1916. Cape Town, Claremont, St Saviour. 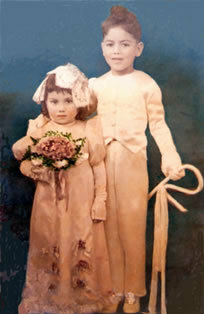 John Lorenzo & Adelaide Louisa Lorenzo. Sarah Rosa Lydia. DOB: 28 7 1876. Kimberley, Griqualand West, St Cyprian. Anthony Edward Emmanuel Lorenzo. DOB: 1 12 1877. Kimberley, Griqualand West, St Cyprian. Catherine Maria Lorenzo. DOB: 27 10 1880.Kimberley, Griqualand West, St Cyprian. Eliza Mary Lorenzo. DOB: 6 8 1882. Cape Town, Rondebosch, St Paul. John Samuel Lorenzo. DOB: 11 8 1884. Kimberley, Griqualand West, St Cyprian. 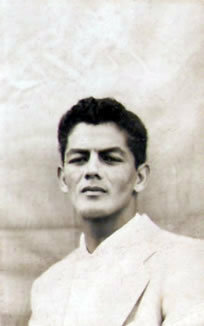 Alphonso Sebastian Lorenzo. DOB: 11 8 1886. Kimberley, Griqualand West, St Cyprian. Alfred Lorenzo. & Maria Lorenzo. Norman Stanley Alfred Lorenzo. DOB: 22 5 1919.Cape Town, Woodstock, St Mary. Edward Emmanual Lorenzo’s cousin: Emily Lorenzo. Edward Emmanual Lorenzo’s uncle: David Lorenzo. Hi Harold, thanks for this it’s great. I will study and fill in any gaps from my side. As a matter of interest have you noticed how our Lorenzo ancestors all began life in Kimberley, which must have been the lure of the diamond fields. What I’ve also noticed is that they lived in Barkley and that St Cyprian and St Mary there were their parishes. They also had interesting trade qualifications with Antonio Emanuel Lorenzo being a blacksmith and wagon-maker there. Actually if you work out his and Catherine (Epolde) Lorenzo DOB:1862, they were 14 when having their first child John Francis Lorenzo. DOB: 5 7 1876. If you don’t believe me, I’ve Antonio’s Death Certificate that gives his date of death as 5 2 1913 and 51 at death, which means he was born in 1862. I also have a copy of his Newspaper Death Memorandum that was copied in Southampton and Lisbon. It seemed they all moved down to Cape Town when the diamond fields petered out and it became big business. Another family that began their life in Kimberley from England was the Dodgens, which is my mother’s, Elizabeth Marie Dodgen. DOB: 20 11 1911. Kimberley, Griqualand West. St Cyprian, and she married my father Harold George Lorenzo. DOB: 14 9 1911. Cape Town, Woodstock, St Mary. A real small world to me when looking at the places where both families began and ended up, of which I’ve a Dodgen Family Tree and Dodgen Family History. And both families attended the same parishes and were baptized there. Interesting! I am also researching the Lorenzo’s. My Aunt’s mother was Margaret Catherine Lorenzo, daughter of Thomas Louis Lorenzo and Ida Mary Samuel. Please help me fit in John & Adelaide Louisa Lorenzo and their children. I have them as a disconnected piece? John was the son of whom? Saw this post on Harold’s blog, isn’t it a great one. Harold has created a ‘Lorenzo archives’ site on Facebook which has a wealth of info and consists of ‘Lorenzo’ relatives. On some of the baptism records of the Lorenzo children, I have noted a William, Richard and a Margaret Samuel appearing as witnesses. These may not be her parents but must be relatives, possibly siblings. By now you would have received the Lorenzo Family Tree of what you asked me about. There is more but I’m still tweaking it to bring it up to scratch with an addition of Great Great Grandparents and their children that includes your inquire of John Lorenzo. Now if you want to know more about the Lorenzo’s I have a site on Facebook called ‘The Lorenzo Archives’ that I’ve invited you by email to join. I am trying to track one of my ancestors Sebastian Lorenzo born in South Africa in 1854. He moved to Australia. His parents were Anthony M Lorenzo (Captain) and Maria Kilman. Does this fit into you family tree? I picked up your message on my site to Mario Erispe, who is my third cousin on the Lorenzo side. The two of us share our family trees at Ancestry.com but I also have a private family site at The Lorenzo Families Archive on which I’ll add you as a member. On there you will find Sebastian Lorenzo 1854, who is my great uncle. It opens with my great grandfather Antonio Manual Lorenzo photo, and when clicked on will open his profile. Click on continue and it will open up to the profiles of my great great grandparents Antonio Lorenzo & Sarah Caroline Fynn and their children, of which Sebastian is one. You can also open up the rest of the site by following the top directions. What I would really appreciate is more about your information about the Sebastian Lorenzo that you have because it seems that they landed in Australia where I now also live from Cape Town South Africa. Oh yes, to add you as a member on my site you have to friend me on Facebook because my site is through it. I looked on Facebook to find you but didn’t know which one because there were to many with your name, so maybe if you friend me we can connect. I talked with you a few years ago and Ii have since found some additional information and want to share it with you. Just on the off chance. I have been researching my family for a couple of years now. I found an entry for the baptism of my grandmother Sophia Catherine Magdalene Lindstrik DOB 20 March 1894 date of baptism 18 July 1912 at St Marys Woodstock. On the notice the witnesses are Catherine and Tony Lorenzo. My grandmother married a William Benjamin. My mothers name Catherine Benjamin / Miller. Do you perhaps have any information relating to the Benjamin or Lindstrik families. Catherine and Tony are my Great Aunt and Uncle, and it seems that being witnesses they would have been family of your grandmother Sophia because they too attended St Marys and lived in Woodstock. Maybe a coincidence but I too have Millers in my family. My nieces and nephews are Anita, Nicol, Jarryd and Colin Miller of Cape Town, and Anita’s mother is my sister Shirley Lorenzo. So see how you go with that family connection. Firstly sorry I got your name wrong and thank you for replying. You did not mention the first name of your sisters husband. 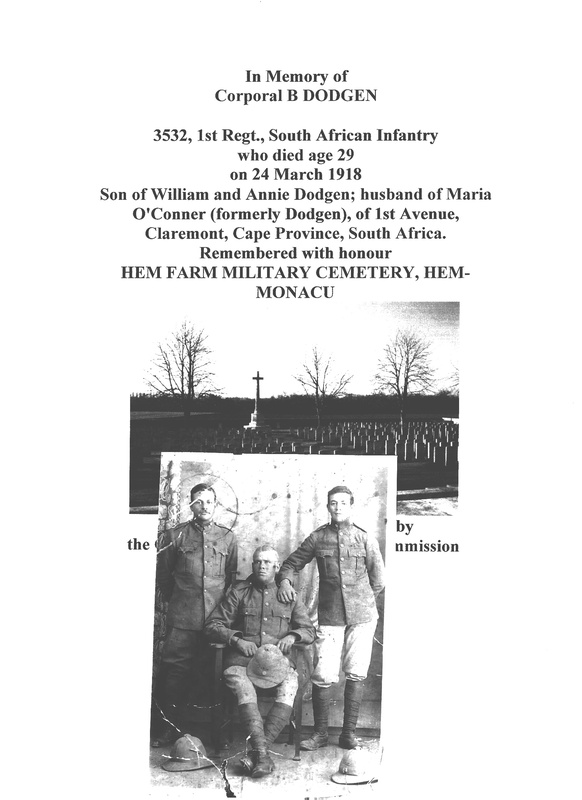 born 1915 bap 25 April 1915 St Marys Woodstock there are two witnesses Francis and Edward Miller could this be a connection to your sisters husband? My fathers Miller family came from Northern Ireland.